Ray White Half Moon Bay is your best choice for listing your house, townhouse or section for sale. We have a wealth of experience in the Half Moon Bay, Bucklands Beach, Eastern Beach, Pigeon Mountain, Howick and Mellons Bay suburbs of Auckland. When you engage Ray White as your agent, we undertake to keep you completely informed as to the state of the market as it affects your property and we make certain you are in a position to make a fully informed decision when buyers submit offers. Whilst we do recommend Auction as the most successful method of marketing property, we also sell a considerable number of homes by exclusive sole agency. All our sales staff are licensed under the Real Estate Agents Act 2008 for your protection. They regularly attend seminars and education programmes to constantly hone their skill s and keep up-to-date with the latest in changing technology, sales methods, marketing promotion and overall industry trends. The strategic local multi-office presence of Ray White ensures your property receives maximum exposure to the market and our experienced teams of professionals will work towards ensuring their buyers are made aware of your property. Our aim is to obtain the best possible price for your property in the shortest possible time. 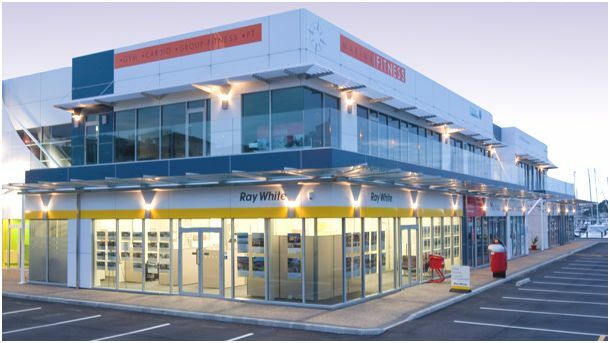 Ray White has played a leading part in the development of the real estate market in New Zealand. Our distinctive grey and yellow signage can be seen in virtually every city and throughout New Zealand. Our name is recognisable, trusted and reflects our professionalism. You can be confident you will receive the level of service you expect and we guarantee it with our ‘Service Guarantee’. Part of a broader Australasian network of over 1000 offices, the Ray White Group completes over billion in property transactions annually. All of the Ray White offices are individually owned and operated by local people – people who live and work in the area; people who can pass on their local market knowledge and expertise to their clients. With Ray White Half Moon Bay you get the best of both worlds – specialist and personalised service backed by the confidence of a highly successful international real estate group. © Ray White Half Moon Bay. Based in Half Moon Bay. Mountfort Estate Agents Ltd Licensed (REAA 2008).